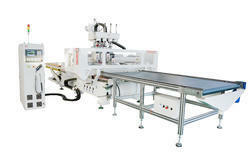 Introducing the latest CNC controlled panel processing production lines for the modular furniture industry. LIPI offers world class customer service & high end woodworking machines at an affordable price without compromising on the quality of the machine. Manufacturing wardrobes and kitchen cabinets becomes easier and faster now with the state of the art technology which minimises the wastage and saves the labour cost. High Precision, Zero Defect & No Trial & Error systems makes LIPI Machines more versatile and in demand. This equipment is a manual edge banding machine, which can perform straight line and curved edge sealing, and the front end of the worktable can be adjusted at an angle of 0-45 degrees or 0 to 60 degrees, which is not available in other equipment. This equipment is optional as an auxiliary workbench. In addition, the net weight of this device is as high as 280Kgs, which is much higher than other devices! 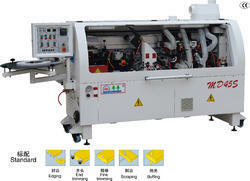 The machine is a four-row drilling machine for woodworking. The two rows of drills can be drilled in the vertical direction, and the split motor can be adjusted left and right. One row of drill bits is fixed horizontally drilled, and one row of drill bits is adjustable vertical or horizontal drill. hole. Panel Furniture Production Line is the new trend in modular furniture making. It is the computerised cnc machine cuts and produces the wardrobes and kitchen cabinets at more accuracy and high speeds. 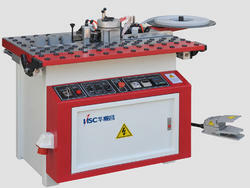 This equipment is a woodworking six-row drilling machine. The three- row drill can drill vertically, and the split motor can be adjusted left and right. One row of drill bits is fixed horizontally drilled, and one row of drill bits is adjustable vertical or horizontal drill. hole. More efficient, more time and effort.